First Baptist Church, Whiteville, NC, was constituted August 17, 1834. The Church has a long history of a commitment to missions. We consider ourselves to be an intergenerational church. Because of our belief in the priesthood of believers, we strive to make First Baptist Whiteville an atmosphere where people of all ages can bring their gifts in service to the Lord. We take great pride in the fact that in a world that creates generational divides, we have a church community that builds bridges between people from all generations; the youngest and the oldest all have a place at the Lord’s table and we aim to practice that in our local Body of Christ. The Church is affiliated with the Cooperative Baptist Fellowship. We put a lot of emphasis as a congregation on listening to God and employing a traditional style of worship, emphasizing sacred music to enable reverent, respectful, and intentional engagement with the Holy Spirit. The Church is blessed with beautiful facilities. The sanctuary is an inspirational environment for worship. The Church has been blessed with many capable pastors who have enjoyed a long tenure with the community. 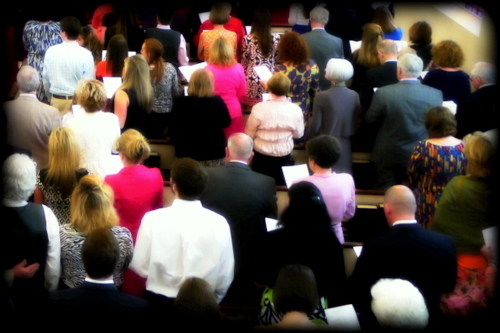 First Baptist Whiteville believes that men and women are equally called to share the Gospel of Jesus Christ with the world, therefore we ordain both men and women as ministers and deacons. Sharing the joy and love of Christ through active caring congregational care, quality sacred music, and engagement in missions at home and abroad are revered traditions and trademarks of the Church’s past and future desires.